The aim of the workshop is to share the first deliveries of the EU Urban Partnership on Affordable Housing and explore the Rotterdam Zuid area as a concrete “living lab” to showcase how cities deal with housing needs of their citizens. Using the interactive format of a “world café” participants will have to opportunity to directly exchange with members of the partnership on a number of issues. 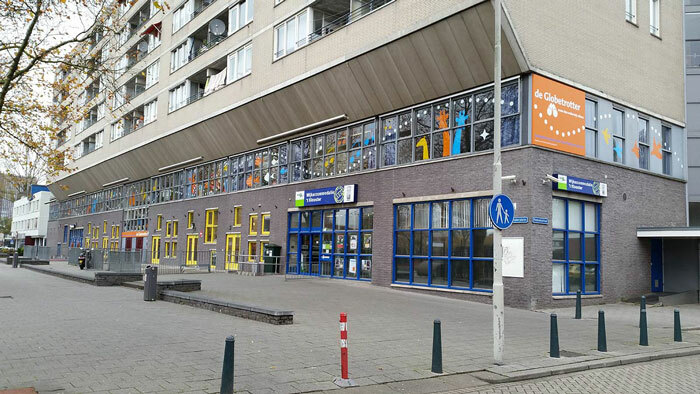 During the workshop and the field visit, at Afrikaanderplein, participants will experience how the social housing corporations and the private housing corporations and the City of Rotterdam work together to find solutions to this challenge. A number of important first steps have already been taken in recent years to create sustainable integrated urban development, however, we still have a long way to go. to share knowledge and best practices to help cities become resilient. In terms of scope and intensity, the socio-economic problem is greater in Rotterdam South area than anywhere else in the Netherlands. In order to achieve breakthroughs and to ensure the residents of Rotterdam Zuid are in a stronger position, parties have joined forces by designing the National Programme for Rotterdam Zuid (NPRZ). The programme focuses on three pillars: education, work and housing. Private housing stock is a focus of particular attention within the housing. The challenge in Rotterdam South area is to ensure that the provided affordable housing remains in reach of those in housing need locally and at the same time invest in restructuring the private housing reserve to make the area socially and economically resilient. At the same time, the new Housing Act has, in recent years, heavily narrowed down the possibilities of housing corporations to act. Moreover, in areas such as Rotterdam Zuid, corporations are also faced with other priorities such as making their housing stock energy efficient. State Aid and social housing: state aid, competition law, definition of social housing under Service of General Economic Interest (SGEI) rules, VAT issues. Finance & Funding: investments and instruments, loans, “golden rule”, European semester, innovative funding, analysis of obstacles and good practice solutions in funding and financing of affordable housing. General Housing Policy: 1) land use, building ground, spatial planning, renovation, energy efficiency, anti-speculation, 2) security of tenure; co-design, rent stabilisation; support for vulnerable groups.